Most comedians won’t touch Barack Obama with a ten foot Lech Walesa. But Greg Morton, the color blind black singer who created the Obama Man Song, is now making fun of the President’s sense of style. It’s pretty damn funny. And Morton does a great Neil Diamond impression, too. How long until blacks begin calling Obama the 44th white president? A few years ago Halle Berry was feted as the first black actress to win an Academy Award. While tearfully accepting her award, she spoke of being black and thanked her mother, who was sitting in the audience. Mom was white. We wondered why Berry called herself black when she had been abandoned by her black father and apparently still identified so strongly with her white mother. Barack Obama’s story is very similar. Abandoned by a black father, raised by a white mother. Yet the white half of the equation is somehow brushed aside and he has become America’s First Black President. Nobody wants to hear it, but this fact is too important to ignore: So far, the first African-American presidency has been one of the worst ever for African-Americans. The economic crisis has predominantly hit non-white working class men; the collapse of the auto industry is threatening to destroy the basis of the Midwestern black middle class. Key matters for African-Americans languish — the overincarceration of young black men that makes a mockery of American justice being the number one example. Government aid? That goes to bankers in Connecticut. If the President were white, there would be riots. In this contradictory atmosphere — pregnant with the tension between symbolism and reality — the Henry Louis Gates Jr. scandal has landed with a force out of all proportion to what may or may not have happened in Cambridge. While the bizarre story of his arrest in his own home may seem like an anomaly, it has emerged from a deep national confusion evident everywhere in popular culture. Call it the Obama Discrepancy: Race is much less prominent as a subject while its effects are no less toxic. And all of this came before the GatesGate fiasco of the last two weeks. So far, Obama has managed to maintain remarkably high levels of support among America’s black voters. But at the rate he’s going, blacks may soon stop referring to him as America’s First Black President and begin calling him America’s 44th White President. If you thought the United States was the only country that has to deal with green nonsense, think again. Mark Arbib, Australia’s Employment Minister, made the mistake of going on Sky News to hype the left wing government’s new “green job” initiative. Reporter David Speers goes after him like you wish American reporters would go after nonsense-spewing members of the Obama administration. The stuttering, stammering results are hilarious. Speers: Does that mean that you are calling this a job or does that mean they’ll be remaining on the unemployment benefit? Arbib: No, well, this is … yeah this is a work experience program. Speers: Is it a job or is it a work experience program? Arbib: A work experience program is a job. They’ll be actually working during this time. Speers: When you say it’s a job, do they get sick leave? Do they get superannuation? How is it just not the same as the work for the dole scheme? Arbib: Well, I don’t have all the details. Speers: But you’re the minister. Speers: But it’s just been announced by the Prime Minister. Arbib: 10,000 young people, 26 weeks’ training, plus work, day after day, it’s a great, great result. Speers: But it is still being worked out. Speers: Is one of those details whether it will be a job or work experience? Arbib: Well, well … it’s a fine line but can I tell you it is work experience. Work experience is a job. Surely, no one in the land down under is under the impression this makes sense. 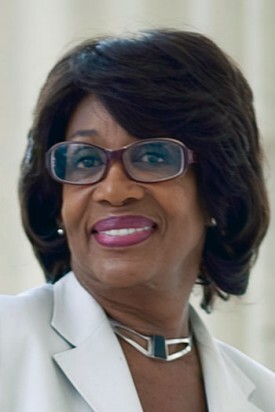 Maxine Waters named one of the most beautiful people in Washington, DC. Seriously. For real. Stop laughing. Somebody must have spiked the water cooler at The Hill. How else can you explain the fact that they named California Congresswoman Maxine Waters one of the fifty most beautiful people in Washington, DC? Rep. Maxine Waters (D-Calif.) has more than just a home state in common with House Speaker Nancy Pelosi (D-Calif.) The Southern Californian equals her northern counterpart in the ability to endure 12-hour congressional workdays in four-inch stiletto heels. One aspect of Waters’s signature look — along with her stylish glasses — is her impressively high footwear. Her leg strength must come from years as a runner. But because of an injury, Waters has recently switched to swimming as her exercise of choice. Most of her cardio, though, surely comes from her first love in personal activities: antique shopping. Waters collects antique perfume bottles, scales and radios. She also has an extensive collection of ethnic dolls from all over the world, and she loves shopping for old furniture and art. “I love old things,” she says with a laugh. She loves them so much that she’s running out of space to keep her collections. “That’s a problem,” Waters says, explaining that her Washington condo and Los Angeles home are at capacity. She plans to start giving components of her collections as “special gift ts to special people,” including her two grandchildren. Not surprisingly, the veteran lawmaker’s post-Congress plans include more shopping and collecting. One key to Waters’s perpetually fresh look may be that she uses her time wisely. She says she has trained herself to relax and rest (and also read) on her coast-to-coast flights from her district to Washington. But there is one other trick Waters uses to always look her best. “I bathe in moisturizer,” she says. We apologize if this is considered harsh, but there ain’t enough moisturizer east of the Mississippi to make Maxine Waters beautiful. Since President Obama has officially ushered in the Era of Apologies, we think The Hill owes one to its readers. A really big one. 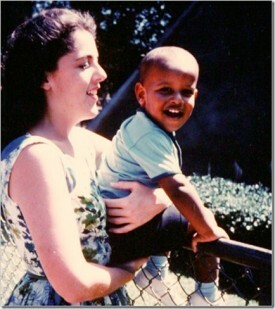 Proof that Barack Obama is the anti-Christ. Or something. Or nothing. And the Lord sayeth unto Jesus, “Go forth and readeth IHateTheMedia.cometh.” And that’s a literal translation from the original Aramaic. You gave half a trillion of our dollars to who? And why? Florida Congressman Alan Grayson may be a Democrat, but watching him grill Federal Reserve Chairman Ben Bernanke before the House Financial Services Committee is a thing of beauty. Bernanke sent half of a trillion dollars to overseas banks, but gets a little hazy when it comes to explaining where the money went. The highlight is when Grayson laughs out loud at Bernanke. We think he’d been reading IHateTheMedia.com and knew that if he didn’t laugh, he’d cry. The stimulus is working so damn well here in the United States that the Obama administration has decided to extend it to our good friends in Gaza. Secretary of State Hillary Clinton said on Friday there had been some progress toward reviving Israeli-Palestinian peace talks in the “near future” and announced $200 million in U.S. aid to the Palestinians. Clinton said the money, which is part of a $900 million pledge she made in March at a donors conference in Egypt, was transferred directly to the Western-backed Palestinian Authority and would help it meet a budget shortfall. Yes, a budget shortfall for the Palestinian Authority. Through no fault of its own, the cost of dynamite vests has risen dramatically. And the cost of rockets lobbed into Israel has…well…skyrocketed. Dr. David Scheiner is not happy with ObamaCare. 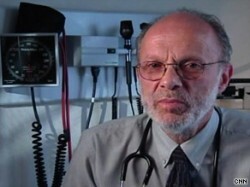 Dr. David Scheiner was Barack Obama’s doctor for twenty years. But the good doctor is not happy with ObamaCare. Not happy at all. Now don’t get Scheiner wrong. He’s no conservative. In fact, he wants a more progressive approach to healthcare reform. Obama’s pragmatism? Forget everything we said in the above article. This Scheiner character is an obvious fraud who has never met the President. Welcome to the People’s Republic of Santa Cruz, a beautiful seaside community about three hours up the coast from IHateTheMedia.com’s plush headquarters. Yes, it’s a beautiful seaside community that’s home of the University of California Santa Cruz, widely acknowledged as the pot smoking capital of the universe. This clip features one of People’s Republic’s most distinguished economists explaining how the world works. Peace, love, happiness and vegetable trees. Really? We didn’t think there was anything this guy wouldn’t apologize for. This is a thing of beauty – Republican Congressman Paul Ryan schooling two MSNBC hosts about ObamaCare. It’s not just that they’re ignorant, it’s that they’re proudly ignorant. If you want to skip ahead to minute 03:28, it really gets good when Katrina Vanden Heuvel joins the discussion to demonstrate her complete ignorance. Katrina Vanden Heuvel: You have good government-plan health care. Why shouldnt all Americans have what you have? Congressman Paul Ryan: I have good private-sector healthcare. We do not have a public option. The federal employee plan lists a number of private plans to choose from to select and my employer, the taxpayer, pays for a portion of these private plans. There is no public plan option in the Federal Employee Health Benefits Program. You are mistaken on that point. My Patients Choice Act that I’ve introduced with Congressman Nunes, Senators Burr and Coburn actually proposes just what youre suggesting: give people the ability, in State-based exchanges, to have a plan just like what we have here in Congress. A private health care plan that’s actuarially equivalent to what we in Congress have. We actually had a vote in the House Ways and Means Committee on an amendment I offered with Congressman Dean Heller which said, “Let’s put members of Congress in this public health care plan so that we can experience the same thing we want to impose on the rest of the country.” You know what? That amendment failed on nearly a party-line vote. Katrina Vanden Heuvel: Competition is at the heart of America. To deny Americans competition by denying them the option of a public plan seems to me to be un-American. Congressman Paul Ryan: What’s weird about that line right there, Katrina, is that I know you and others are very much in favor of a single-payer plan, which is obviously to deny competition and have the government run it all. What’s concerning about this debate with me is that you’re using capitalist rhetoric to try and move a plan that is inherently anti-market. The problem is that the facts tell us this: A public plan option quickly becomes a government-run monopoly. The actuaries are telling us is that in a few short years, the public plan option displaces the private sector, employers dump their employees on the public plan and then they have no choices but the public plan. And so, let’s not try to sell a government-run plan using free market rhetoric. Let’s have an honest debate about what this bill is all about. Honest debate on MSNBC? Get serious, Congressman Paul Ryan. This is something we’ve wondered about for months and haven’t mentioned. 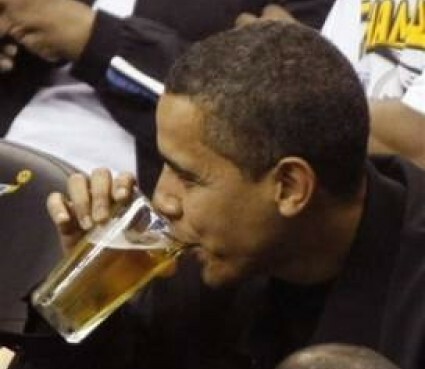 But it seems appropriate to bring it up in light of the President’s vitally important beer diplomacy at the White House today. 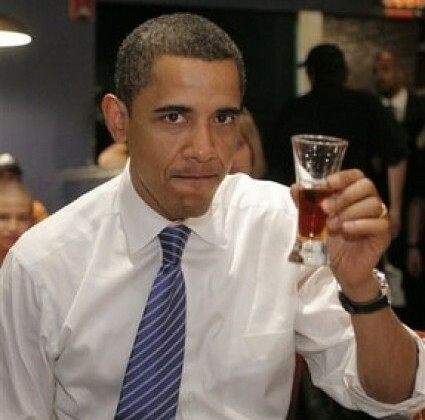 What’s with President Obama’s dainty fingertip grip on his beer, his little finger extended as if in parody of the rules of etiquette at an English tea party? It’s not something he did once. It’s something he does every time he downs a cold one. We’re not saying this is a big deal, so our liberal readers should relax. 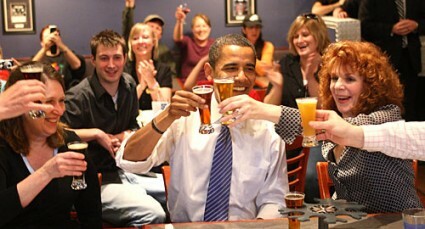 But is this any way for the Most Masculine President in History to grab a brewski? Do not be confused. This is a new story. Sure, it’s nearly the same headline as yesterday’s story. And the day before that. And most recent days. But rest assured, this is a new, new low. Not an old, new low. The Rasmussen Reports daily Presidential Tracking Poll for Thursday shows that 28% of the nation’s voters now Strongly Approve of the way that Barack Obama is performing his role as President. 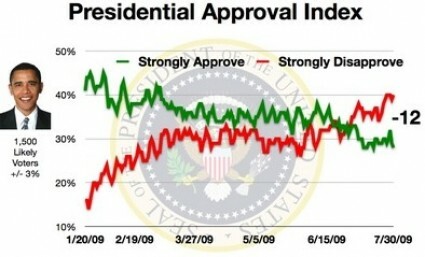 Forty percent (40%) Strongly Disapprove giving Obama a Presidential Approval Index rating of -12. That’s the lowest rating yet recorded for President Obama. This is not Ronald McDonald. You may have been confused by the bright red nose. William H. Clinton (the “H” stands for Hypocrite) was the headline speaker at an event sponsored by the Centers for Disease Control’s Weight of the Nation conference. The whole point of the conference is to combat obesity. 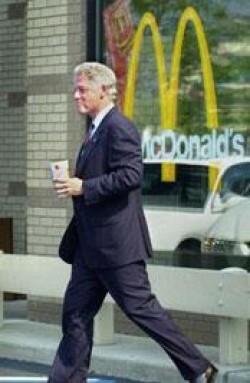 In a cruel case of perception versus reality, the former President was photographed coming out of a McDonald’s last weekend after eating a double hamburger, onion rings, French fries, and a milk shake. What bonehead came up with the idea of making Bill Clinton a spokesman for healthy living? This guy’s doughier than Poppin’ Fresh. If the CDC ever decides to fight the tragic epidemic of white, fleshy, doughy thighs, Bill Clinton could be the before half of the poster. He’s in worse shape than the economy. If he ran away, they’d have to use all four sides of the milk carton. Why did America’s real estate market crater? 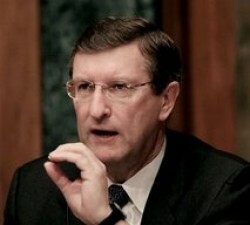 Appointing Chris Dodd as head of the banking committee and Kent Conrad as chair of the Budget Committee didn’t help. According to testimony from an official at Countrywide’s VIP division, while millions of Americans struggled to make their house payments, those two Democrat Senators were getting sweetheart mortgage deals from the soon-to-fail bank. And, while they blamed the Bush administration and tax policies for the cratering real estate market, Dodd and Conrad swore they had no idea they were getting a good deal on their mortgages. After all, who pays attention to things like interest rates when you’re financing a home purchase? Or payment terms? Or the monthly payment amount? Now, these are the guys that are in charge of a health care fix (fix being the operable term here). Free ACL surgery with every kickback. Bribe one, get one liver transplant free (The Kennedy special). Ear, nose, and throat visit for earmarks. A primer for Democrats: How much is one trillion dollars? Perhaps the problem in Washington, DC is that none of the Democrats in the House or Senate actually understand what the word “trillion” means. It’s just a big, unimaginable number with lots of zeroes, an amorphous concept somewhere between a million and a bazillion. So here is a simple, graphic explanation to help the fine Americans serving in the Congress of the United States of America understand exactly how much they’re pounding down a rathole. We want to like O’Reilly. We really do. But he is the most pompous man on TV. This clip proves that he can sound completely authoritative even when he doesn’t have a clue what he’s talking about. Time for Ed Schultz’ MSNBC show to be euthanized? Tuesday, April 7, the day after Ed Schultz’ premiere show, MSNBC officials tried to put a happy face on the sad results by saying that they were “pleased” with the initial ratings and that they expected the show to grow over time. After sixteen weeks on the air, MSNBC’s EdShow is on life support. Instead of growing, its ratings have gone down. In fact, they’re lower than those of David Schuster, who was booted from the time slot to make room for Schultz. We’d say it’s time to let this thing die with dignity, but it’s impossible to use the words “Ed Schultz” and “dignity” in the same sentence. This is one of those stories that demonstrates the lunacy of labeling people by color. Henry Louis Gates Jr., the now infamous black professor who was arrest outside his Cambridge, Massachusetts home last week, and Sgt. James Crowley, the officer who arrested him, both trace their ancestry back to a legendary Irish clan called the Niall of the Nine Hostages. 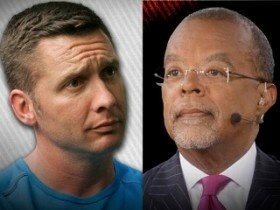 While hosting a PBS series in 2008, Gates discovered that he was descended from a black slave girl and an Irish immigrant. He had his DNA analyzed at Trinity College in Dublin and learned that he was descended from a fourth century Irish warlord who beget and beget and beget until his became one of the dominant strains in Irish genealogy. Oddly enough, Crowley can also trace his lineage back to the same Irish warlord. 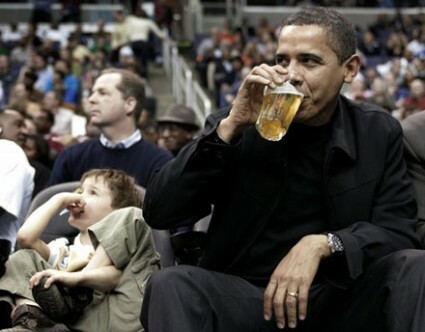 So when they share a beer with President Obama at the White House on Thurday, Gates can look at Crowley and say, “What up, bro?” and almost mean it literally. Lou Dobbs has been known to go nuclear on MSNBC hosts in the past. He once called Keith Olbermann “a whack job” and “a left-wing hack.” Tough to argue with that. This is a complex issue and Lou Dobbs doesn’t have his facts straight. So please let us explain. For the record, Lou, Rachel Maddow is not a tea-bagging queen. She is a lesbian. Anderson Cooper is a tea-bagging queen. Glad we could help clear up the controversy. New York Times columnist Thomas Friedman calls for – nay, demands – global warming laws that would require your next house to be green. As we reported on February 3, Friedman married into a very wealthy family and lives in an 11,000 sq ft mansion on a 7.5 acre estate in Bethesda, Maryland. It was valued at nearly $10,000,000 before the real estate crash. As you can see in the aerial photo of the Friedman estate, his garage is larger than your house. You know, his garage. Where he keeps his fleet of green cars. 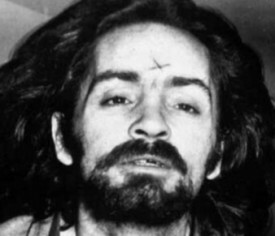 Would President Obama have said Charles Manson's arrest was stupid, too? What, you may ask, could those three names possibly have in common? Well, last Wednesday night’s presidential declaration that Cambridge, Massachusetts police acted stupidly in arresting one of the President’s friends is reminiscent of an incident that occurred during the 1970 Charles Manson murder trial. On August 4, despite precautions taken by the court, Manson flashed the jury a Los Angeles Times front page whose headline was “Manson Guilty, Nixon Declares,” a reference to a statement made the previous day when U.S. President Richard Nixon had decried what he saw as the media’s glamorization of Manson. Voir dired by Judge Charles Older, the jurors contended that the headline had not influenced them. The next day, the female defendants stood up and said in unison that, in light of Nixon’s remark, there was no point in going on with the trial. Nixon caught holy hell from civil libertarians for saying what everyone in the world thought. As he should have. Presidents have no business expressing uninformed personal opinions about on-going criminal investigations and trials. Not Nixon. Not Obama. Not any president. We’re actually surprised President Obama chose to comment on a subject about which he was admittedly ignorant. We thought that was Joe Biden’s job. “Fees on what,” you may ask. “Damn near everything,” we would respond. A 3% excise tax will be slapped on anything that can be disposed of in wastewater. That includes things like toothpaste, cosmetics and toilet paper. A 4% excise tax will be added to water beverages. There’s no end to the Democrat creativity in Washington, DC these days. 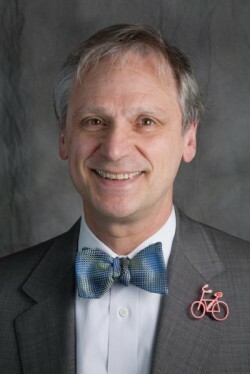 Future headline prediction: Obama appoints Blumenauer Toilet Paper Czar.